Caravan mishaps are more devastating than car accidents. One wrong manoeuvre and the repercussions are magnified several times over. During the past year, 80% of caravan accidents resulted in a total loss, according to statistics. Loss of control accounted for 30% of the claims, while natural disasters accounted for 29% of the losses! 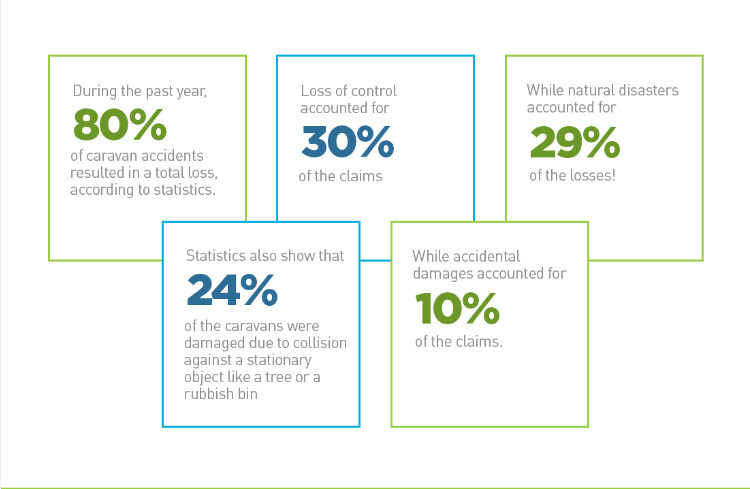 Statistics also show that 24% of the caravans were damaged due to collision against a stationary object like a tree or a rubbish bin, while accidental damages accounted for 10% of the claims. Australia is known for its diverse road terrains, harsh climate, extreme temperatures and crossing animals, all of which add up to road accidents. The same is why preventing caravan accidents is possible only if you’re 100% alert. Oftentimes, people plunge into caravanning right after retirement without taking the time to learn proper towing a caravan or trailer. Gain the necessary skills before setting out on a caravan journey. Commonly known as drowsy driving, driver fatigue can cause people to lose control of their rig, leading to an accident. Road safety recommends that caravanners must not cross the One Day Distance limit of 400 Km in order to avoid fatigue. You must also take reasonable breaks, possible every 2 hours to have a snack or coffee to keep you alert. Another rule to keep in mind is never exceed 96.5 kph when towing a caravan. Any faster than that and the slightest force acting on it will tip the caravan one way or another, causing an accident. It’s easy to oversteer when you’re speeding. Vehicles not equipped with Flexi Steer, can be particularly problematic. 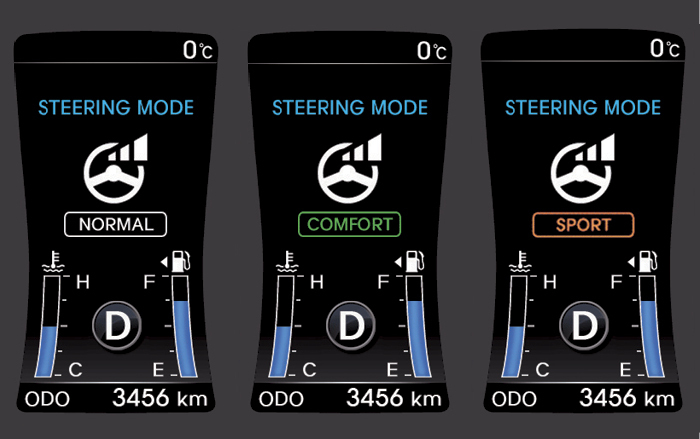 Flexi Steer helps the steering to become rigid when the SUV gains speed. For an SUV towing a caravan at 80kph without this device, oversteering can happen even if you steered only an inch towards the left or right. When there is undue wind, the caravan could shake, sway or fishtail. Identified as the major cause of caravan accidents (91%), caravanners usually panic in such a situation and lose control of their rig. The best solution in such a situation is not to apply the brakes all of a sudden, but to decelerate gradually until the caravan out of the situation. 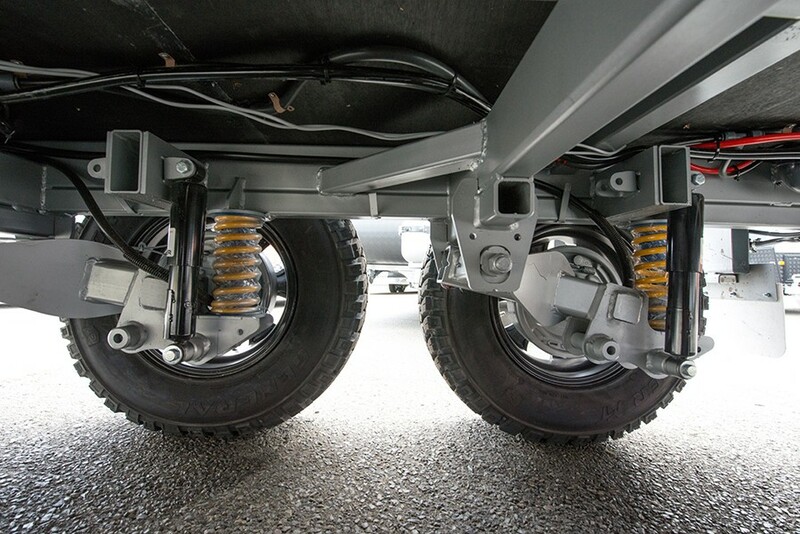 Rollovers for caravanners can be traumatic; hence, off road caravanners must install a stabiliser to minimise snaking. In addition, ensure that the nose-weight and axle weight are not set too high. 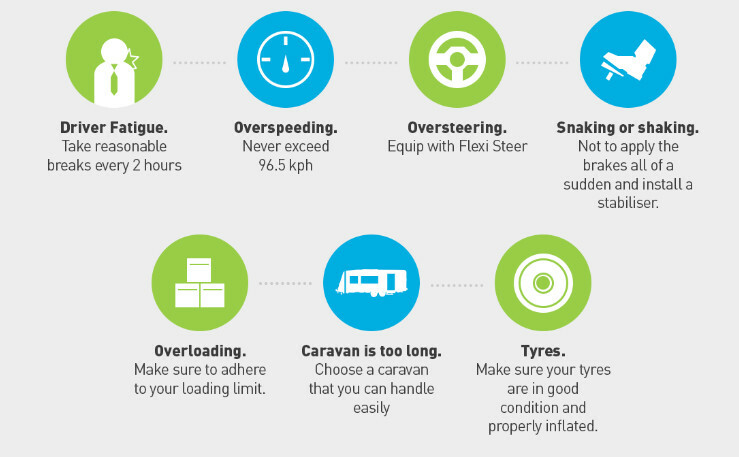 Overloading is a major cause of caravan road accidents, even with reinforced tyres. The basic weight limit of 1600 Kg for a caravan is one of the most broken rules. In addition, aging also diminishes a caravan’s weight capacity. Each caravan has a loading limit provided by the manufacturer. An overloaded caravan is easily tipped off balance, making it dangerous under any road circumstances. Make sure to adhere to your loading limit. Overlong caravans are a strict no-no when it comes to road safety. The maximum allowable length for caravans is 24 ft, while 18 ft is the recommended safe limit. With the maximum permissible height and width being 4.3m (14.1 ft) and 2.5m (8.2 ft), you must choose a caravan that you can handle easily. A caravan that is disproportionately long is prone to oversteering. Make sure your tyres are in good condition and properly inflated. Age, UV and road wear affect the condition of your tyres. Inspect your tyres periodically. Depressions or cracks in your tyres mean it’s time to replace them. Additionally, never use tyres that are older than 5 years even if they do not show any signs of wear or damage. 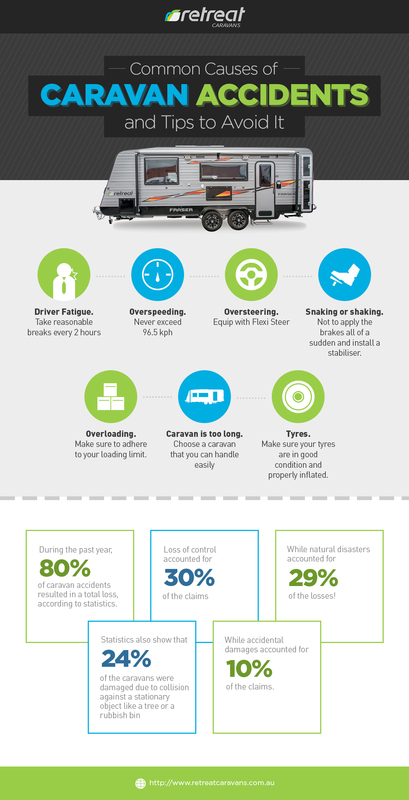 Below is the infographic for you to easy remember all Caravan road safety tips. For those who want to copy and paste it in their website, you may copy the code below. 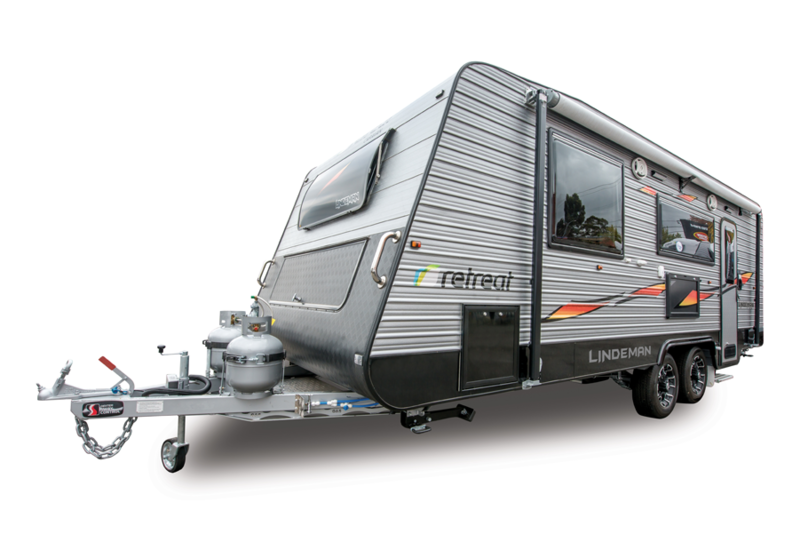 There is a series of checks to help ensure your caravan is roadworthy. Make sure that couplings, external chains, wheels, bearings, suspension, external lights and tyres are working properly. Even when you’re 100% careful, all it takes is a drunk driver in the opposite lane to wreck your caravan. Hence, practice defensive driving and follow the below road safety rules! Recklessness is cited as the main cause of caravan road accidents. It covers drink driving, using a mobile phone while driving, carelessness, anger and ignorance. Accidents can be avoided by observing proper road protocol, and staying calm and alert at all times. Flash Flood and storms accounted for a quarter of last year’s caravan mishaps. The best you can do is to avoid places prone to natural disasters during vulnerable seasons. Nevertheless, if you’re stuck in such a place, use your emergency phone and make yourself safe first! Another cause of caravan damage is fire. Make sure that outdoor fires are well-contained and away from vulnerable things including your caravan. Rain, snow, and extreme heat can ruin your caravanning experience. Extreme rainy seasons are a killjoy for caravanners. Avoid such conditions by planning your itinerary efficiently. Nevertheless, if you’re stuck in bad weather, make sure to get enough supplies and ensure your safety first. 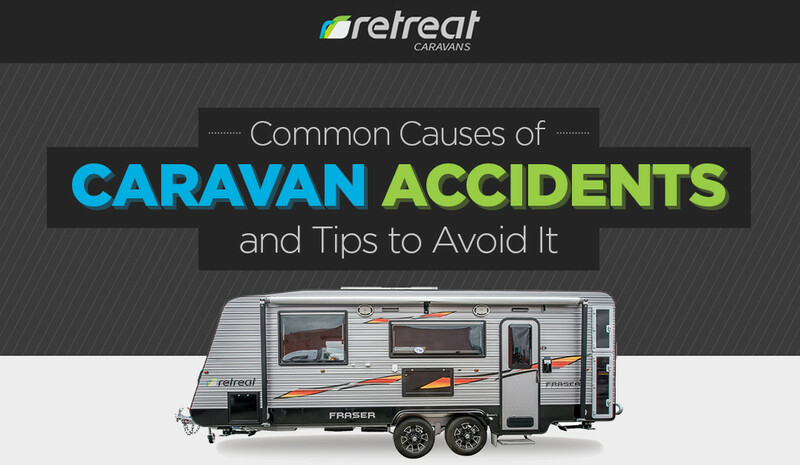 Faulty reversing technique is ranked among the top reasons for caravan accidents. Try to drive forward and avoid reversing, if you aren’t so sure about your technique. Never tow a rig that exceeds 85% of your SUV’s kerb weight (Vehicle weight + Full tank of Fuel+ 75 Kg for driver and baggage). Use towing mirrors to give you a wider view. is also necessary to avoid accidents as towing decreases the acceleration and braking ability of the rig. Controlling a Caravan on difficult, slippery or irregular road surfaces can be tough. Prepare yourself for road challenges by obtaining information about your route in advance. Check that your caravan is roadworthy! Overtaking is a complex manoeuvre. More so when you’re towing a caravan. Avoid overtaking as a general rule. If you must overtake a slower vehicle, do so only when you have plenty of space and time to execute the manoeuvre properly and safely. Another cause of caravan accidents is crossing animals. If you’re going at a steady speed and an animal pops up in front of you, don’t brake suddenly or try to swerve around it. Slow down as best as you can and keep the wheel steady. To be safe, reduce your speed when driving through unfamiliar roads. If you cannot avoid hitting the animal, pull over to the side and report the incident to the local authorities. Predicting an accident is next to impossible. Although, if you’ve chosen a caravan that is built for the harsh climate and the rugged terrains of the Australian outback, then you have a rig that’s adequately-equipped to help you deal with road accidents. At Retreat Caravans, we are proud of our accident-proof caravans, designed exclusively to keep you and your family protected throughout your journey All the below caravans are of ideal length, width and height for safe caravanning. A great caravan to take on a grand family adventure, Daydream from Retreat Caravans is designed to keep you safe in your journeys. Daydream also has a Crimsafe Rounded Entry Door, protection for Pipe and Door, in addition to a sturdy chassis that can protect you during rollovers. The caravan also has a rocker suspension ideal when travelling on undulated roads. It has an outside shower. Similar to the Macquaie, Fraser is built for larger families. Having multiple options like semi off-road and outbacker, Fraser is ideal for traveling on sealed and unsealed roads. Akin to Daydream, Fraser is also built with pipe and tap protection in addition to Rocker suspension for efficient driving. The caravan also has an outside shower, light underneath two of the pelmets, Crimsafe Rounded Entry door and Perspex Splashback for protection against undue weather. The trademark model for full-time off road caravanning, Retreat’s Hamilton offers absolute safety and comfort even during your most adventurous treks. The van is known for its efficiency in handling unpaved country roads. 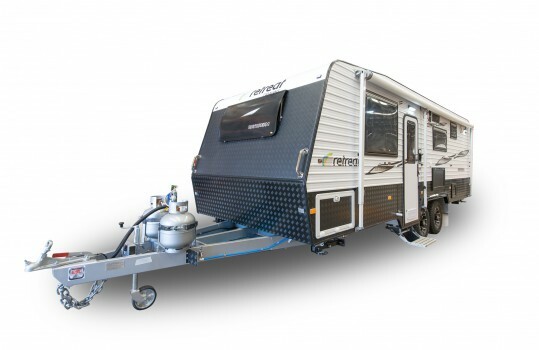 The rig comes with pipe and tap protection designed for safe caravanning in addition to rocker suspension for travelling in various road and weather conditions! 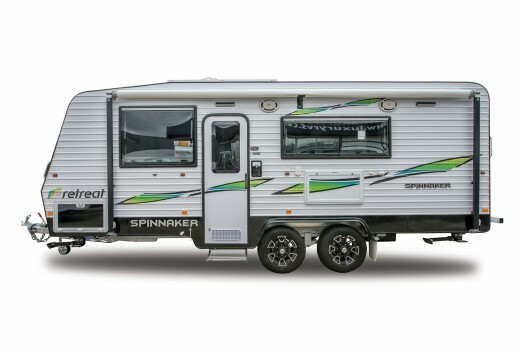 Known as an all-terrain caravan, Spinnaker was designed with road safety as its primary focus. The luxurious rig comes with rocker suspension and offers protection for pipes and taps as well. The caravan comes with weight saving axles for error-free towing and loading of the rig. Staying safe on the road requires awareness and preparation against the risks associated with caravanning. An exciting outback adventure can quickly turn into a disastrous situation if you’re not equipped with the right knowledge, skills and type of caravan. All in all, prevention is better than cure. Get your quality off-road and luxury caravan at Retreat Caravans and work to develop road safety skills.